First stop on August 9th was a dry woodland of pine, oak, and hickory. Several stems of cranefly orchid (Tipularia discolor) were in full bloom. 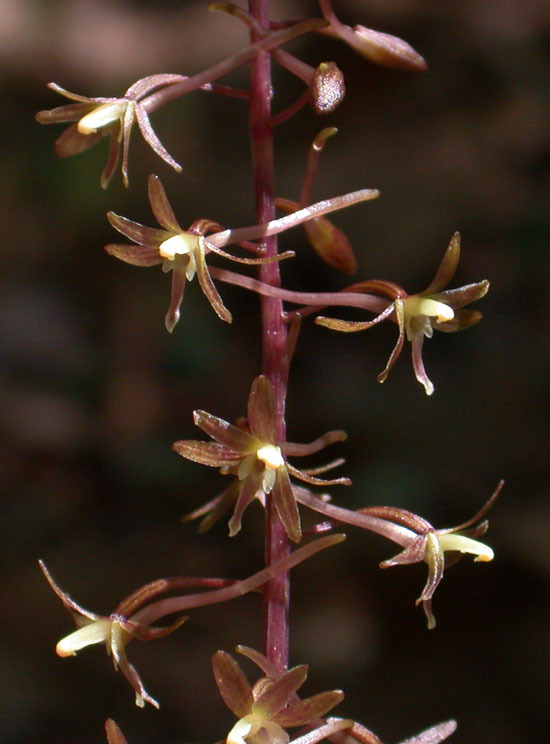 The slightly asymmetrical flowers are pollinated by moths. 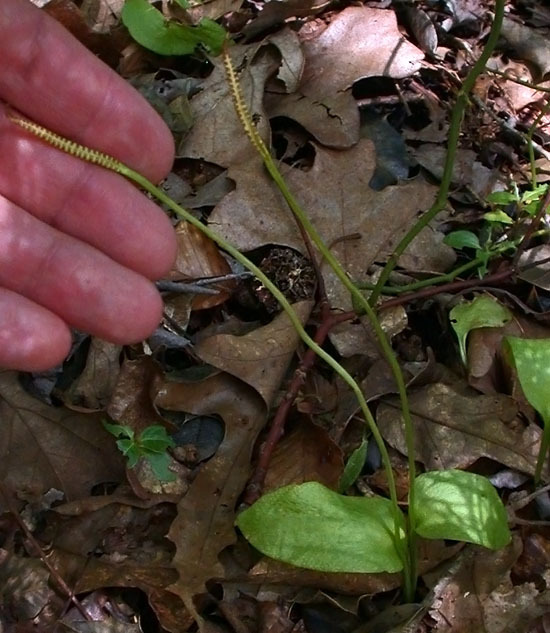 Northern Adder’s-tongue (Ophioglossum pusillum) was scattered in richer soil among a large population of lily-leaved twayblade (Liparis liliifolia). This is a eusporangiate fern (sporangia developing from several epidermal cells), while most ferns are leptosporangiate (sporangia developing from a single cell). On the way out spotted a nice patch of pine sap. 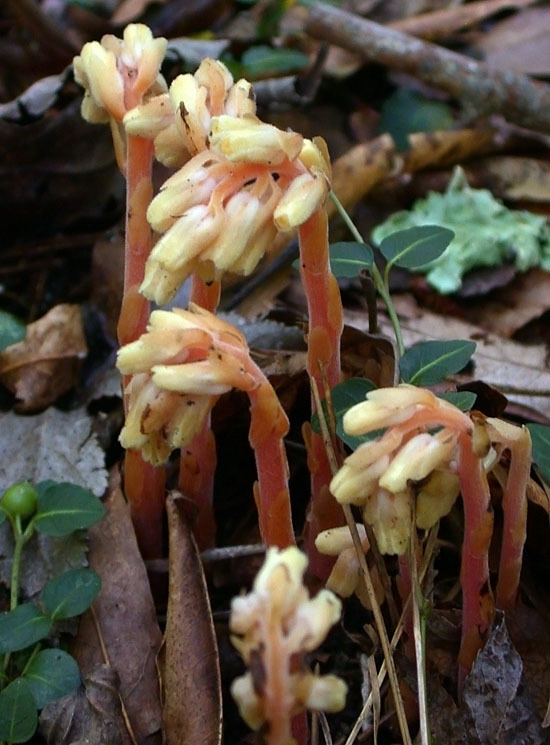 The pink stems and relatively late flowering time suggest this may be Hypopitys lanuginosa rather than Hypopitys monotropa, though mid-August is when flowering of the two species typically overlap. I then visited a powerline right-of-way that cuts through a nearby Wildlife Management Area. 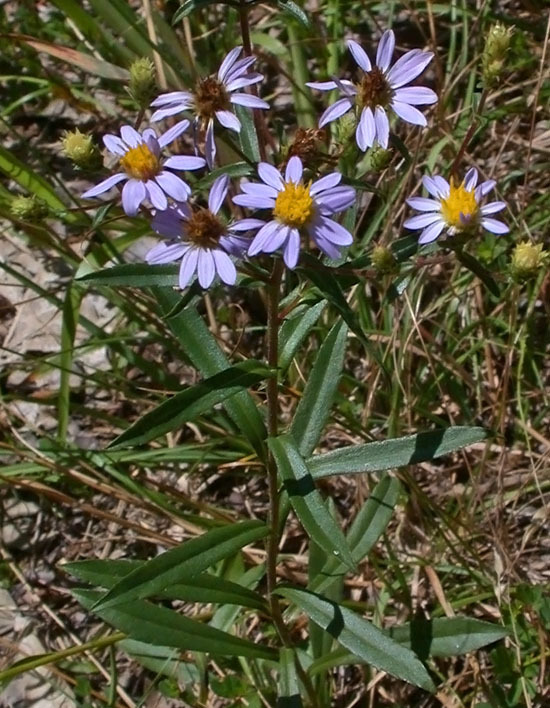 Flowering along the roadway was lots of slender aster (Eurybia compacta). 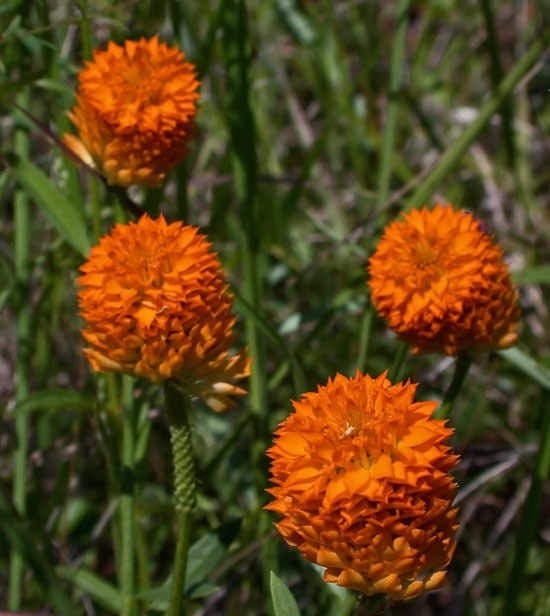 Orange milkwort (Polygala lutea) was fairly abundant in wet sand along the access road. These plants have been blooming for over a month. Engelmann’s arrowhead (Sagittaria engelmanniana) growing in standing water in the deep ruts of the access road. 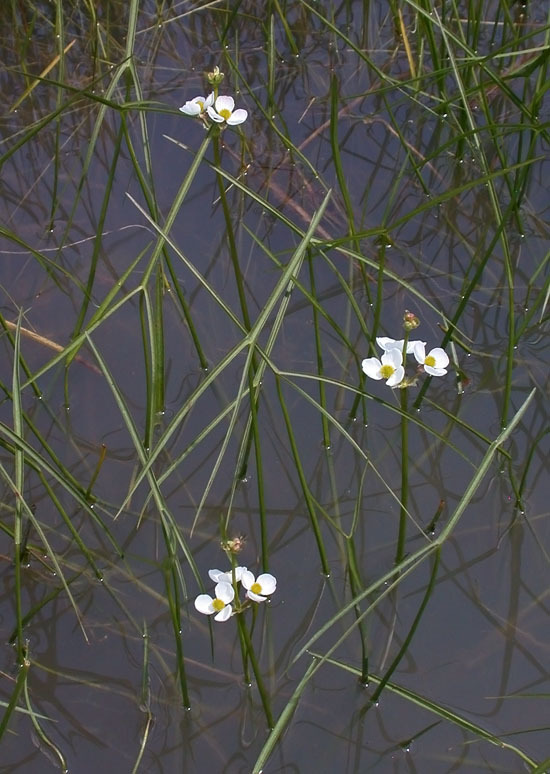 This species prefers acid water and has leaves typically narrower than the common arrowhead (Sagittaria latifolia), however examination of the achenes is best for positive identification. The latter has none or at most one facial wing on the achene whereas S. engelmanniana has 1-3 facial wings. Golden hedge-hyssop (Gratiola aurea) was also abundant in the wet muck of the access road. 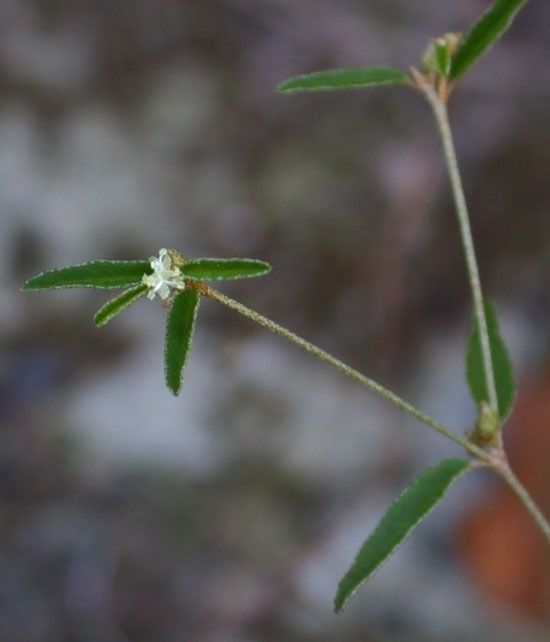 A rare species that was common here on dry sand was elliptic-leaved rushfoil (Crotonopsis elliptica). 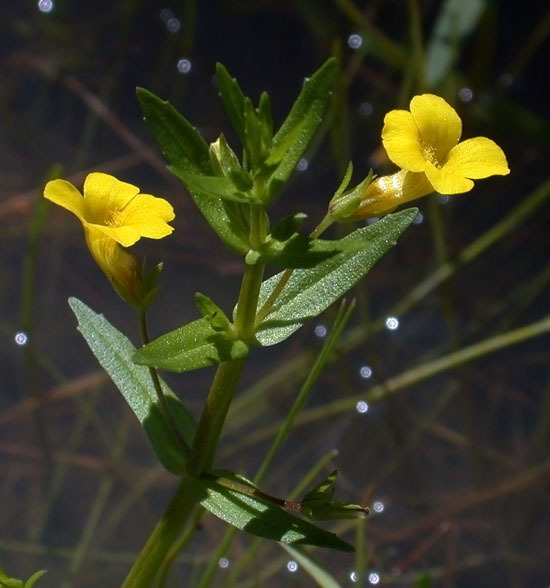 This species is quite small and easy to overlook. The next day I visited a savanna that had formed on a former bog iron mining site. 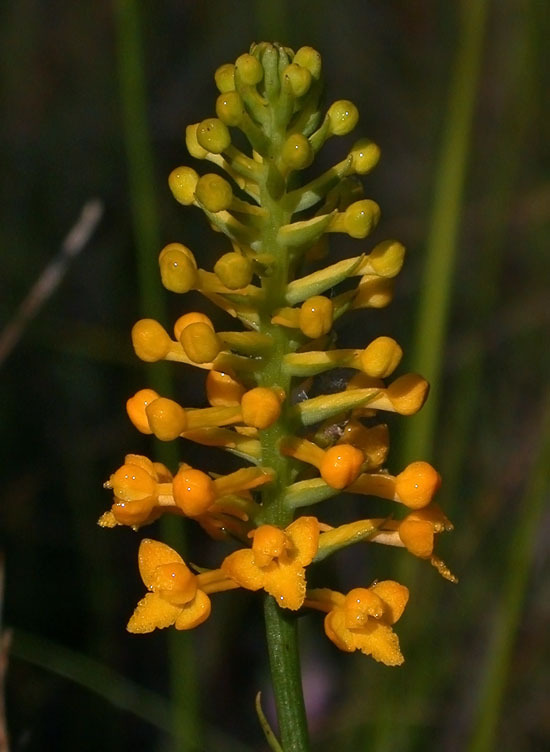 Here I found three flowering plants of the globally vulnerable yellow fringeless orchid (Platanthera integra). This site is threatened by encroachment of cedars and would probably benefit from additional disturbance in the areas where the canopy is beginning to close. On the way out I stopped by a few disturbed areas closer to civilization. 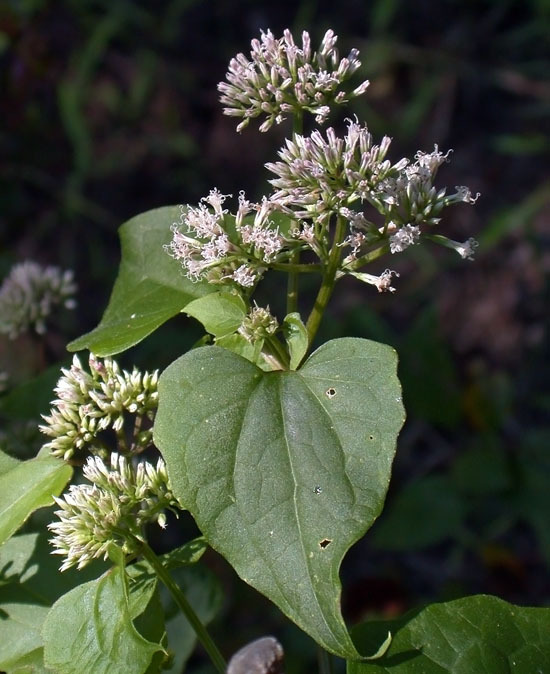 A nice patch of climbing hempvine (Mikania scandens) was flowering on the bank of a river. Seems I find a new species of thoroughwort every time I visit southern NJ. 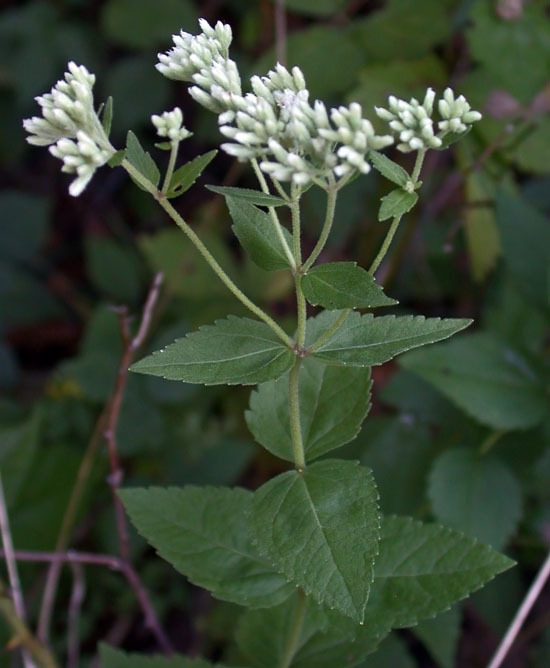 This one is round-leaved thoroughwort (Eupatorium rotundifolium) and was growing along the edge of some woods.